Kings Campers, located at 5507 Lilac Ave. Wausau, WI is proud to announce that all inventory tags will now have a two dimensional scannable code printed on each tag. This code has been put in place to help customers with “smart phones” to access more detailed information about the RV they are interested in through a free QR Reader application. 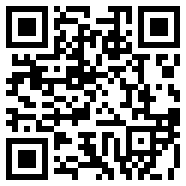 The QR Reader application is a free download that is also free to use and can be found on several websites relating to “smart phones”. One of these codes has been placed at the end of this press release.